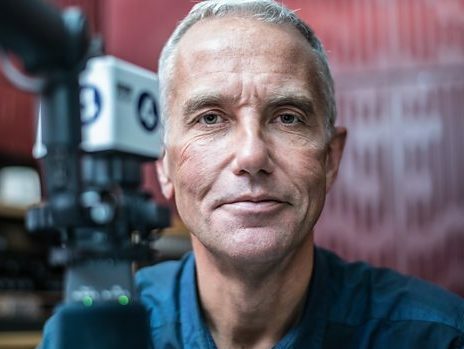 Eddie Mair presented BBC Radio 4’s current affairs programme PM for the last time after 20 years yesterday, leaving without mentioning on air that it was his last show and avoiding any “fuss or faff”. Mair’s last show was scheduled for Friday, but he said in an email to staff after yesterday’s show that he had decided to call it a day as there was “no way to match that for a last Eddie programme”. In an email to PM staff, published in full by the BBC, Mair said: “So, that’s what it was… my last PM. It felt right then and it feels right now. Mair also teased that PM “is about to get a brilliant editor” and that the show “is about to get even better”. His replacement has not yet been announced. He is set to join talk radio station LBC in September to host a brand new show after spending 30 years at the BBC on programmes including Broadcasting House on Radio 4, The World on BBC World Service and Midday with Mair on BBC Radio 5 Live upon its launch in 1994. When Mair’s departure was first announced last month, it was widely reported that he had refused to take a pay cut as the BBC attempted to close its gender pay gap. According to the BBC’s disclosure last month of its top-paid talent who earn more than £150,000 a year, Mair’s salary lies between £300,000 and £339,000. Last year his salary band was £300,000-£349,999. 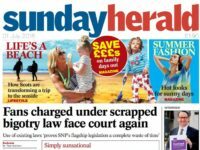 However Mair has written in the Radio Times that the main driving force behind his decision to leave was “a desire to do something a little different after 20 years in one job”, and that he actually offered to take a pay cut. “None of my thinking has been influenced by the BBC’s pay problems. I’d offered, in writing, to take a cut. It tickled me to read sometimes that I was apparently refusing,” he added. Broadcasting House presenter Paddy O’Connell will guest present PM today and tomorrow to fill in for Mair, who also said in his email that he will not be in the office due to “one of those 48 hour bugs”. Mair’s final song was Willie Nelson’s Bring Me Sunshine, which he said had been a listener’s suggestion, “in keeping with the tradition of PM”. Mair will continue to present the Grenfell Tower Inquiry podcast for the BBC until the inquiry’s conclusion. Nice article posted by author and it is fully described and informative to the readers. Thanks for sharing these useful post.